More than a question it is a call to action – for what other alternative is there? With our latest creation, we encourage you to reflect on life’s impermanence, while embracing the potential immortality of your thoughts and reflections. At Edelberg, we have always felt that the pen is the ultimate communication tool, empowering the writer to create without boundaries, and share beyond borders. The“To be, or not to be” by Edelberg is a strong yet symbolic reminder that while our life’s clock ticks on and on, we must seize every opportunity that presents itself. Time may indeed be fleeting, but the power of our ideas is limitless. Alvaro Soler has chosen the Edelberg Sloop as his canvas to create a singular tribute to the strength of our thoughts, dreams and ideas. Mr. Soler has chosen the image of a slowly melting human skull to convey the message of the “To be, or not to be”, drawing inspiration from Shakespeare’s timeless classic Hamlet. As Hamlet beholds Yorick’s now skeletal head he is struck by life’s tenuous and sometimes futile nature, and is stirred to action. The “To be, or not to be” serves as a constant reminder that while we may be mere mortals, our ideas can live on beyond us – but only if we move with purpose. By acting today, we define our tomorrows. Limited to 88 pieces worldwide, the “To be or not to be” is truly a limited edition. 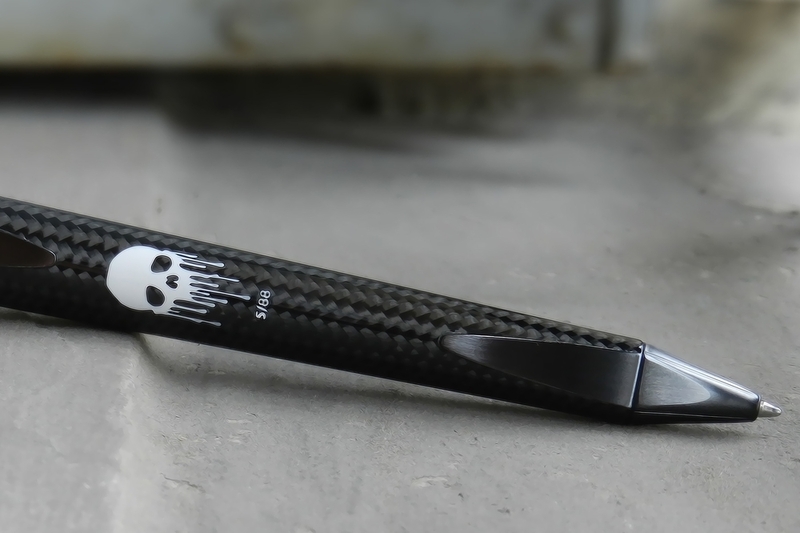 Based on Edelberg’s iconic Sloop model, its body is carbon fiber, with the detail of “Poor Yorick’s” skull individually hand-painted by Alavaro Soler. The cap, clip and base pieces are of stainless steel with Edelberg’s trademark Superluminova treatment of the cap.